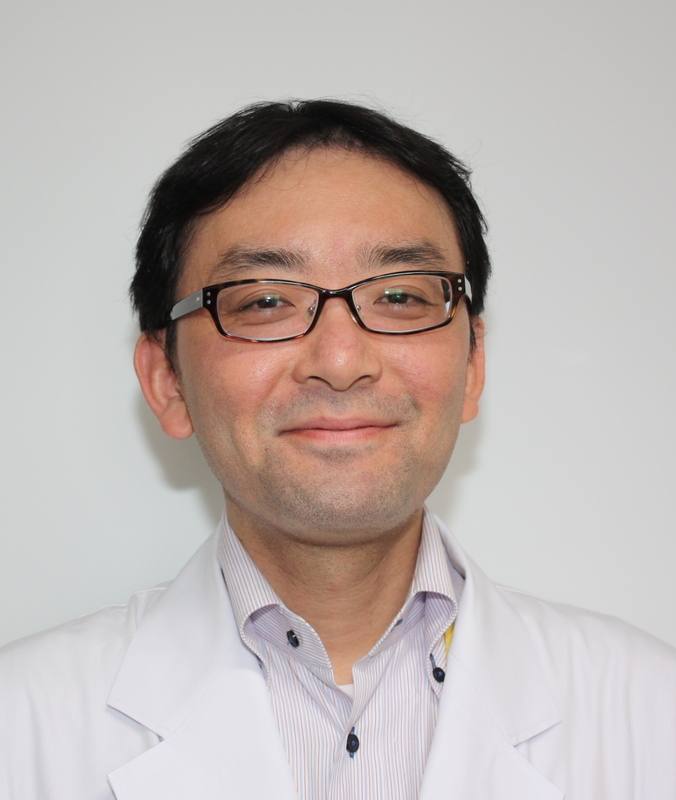 Dr. Michihiro Kono and Prof. Masashi Akiyama at the Nagoya University Graduate School of Medicine, along with co-researchers1, have determined the causal gene for Reticulate Acropigmentation of Kitamura (RAK). Their paper was published online in Human Molecular Geneticson May 10, 2013. RAK is a rare genetic pigmentary disorder that was first reported by Dr. Kitamura in 1943, and for 70 years thereafter, its etiology has remained unclear. RAK usually sets in at the age of ?20 years and causes reticulate macules on the dorsum of the hands and feet. These subsequently expand to affect the proximal limb, neck, and axilla. The research team sequenced all protein coding nucleotides from the genomes of four members of a family with a history of RAK. They used "exome sequencing," a technique that is expected to drive the next generation of sequencing analysis. After an exhaustive listing of the mutations in many genes from the four individuals, they examined potential causal relationships between each mutation and the development of RAK. Furthermore, the researchers checked a number of candidate genes involved in the disease and compared those from the RAK patients with those from the members of another family in the same pedigree. Consequently, mutations in ADAM10were identified only in those individuals who were affected by RAK. ADAM10 is an enzyme that can cleave parts of proteins, causing them to be shed from the surface of a cell. A target protein is activated after by being cleaved by ADAM10. When ADAM10 has a mutation, it cannot cleave target proteins properly, thus impairing the function of the protein. This research reveals that mutations in ADAM10 can cause RAK. It is widely expected that researchers will hereafter be able to identify the target protein that is influenced by the mutation in ADAM10 and triggers RAK. To elucidate the mechanism of RAK, experiments need to be conducted on cells and mice models with an aim to develop a medical treatment for the disorder. 1. Michihiro Kono, Kazumitsu Sugiura, Matsumi Suganuma, Yasushi Tomita, and Masashi Akiyama (Department of Dermatology, Nagoya University Graduate School of Medicine), Masahiro Hayashi, Tamio Suzuki (Department of Dermatology, Yamagata University School of Medicine), Hiromichi Takama (Takama Dermatology Clinic), and Kayoko Matsunaga (Department of Dermatology, Fujita Health University School of Medicine). Dr. Kono has been researching dyschromia since graduate school. 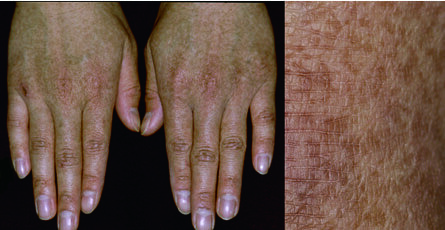 Dyschromia can result from various disorders, some of which bring on similar skin symptoms. It was previously thought that these disorders were triggered by the same etiology. Dr. Kono has overturned this accepted notion by identifying the cause of RAK. "I will continue my research on RAK and aim to develop a remedy by determining the protein to be influenced by theADAM10 gene defect, and by elucidating the mechanism of the disorder." "The skin diseases are visible to your own eyes. Thus, when you see a genetic skin disease, you get a ticket to go journey to identify the causal gene. Once you identify the gene, as a scientist it is very interesting that its function can be definitely learn in the human body by observing its effects on the skin's surface. As a physician, it is my pleasure to support the patients suffering from skin disease. I am confident that dermatologists can be of help to patients from the pathogenesis study to medical treatment."